Summer is upon us, which means one thing to homechoolers – planning for the next school year! I don’t know about you, but I’ve been busy making lists of books and school supplies we’ll need for this fall. I have also been hard at work the last several months, but finally our new Grade 7 curriculum is complete! A lot of blood, sweat and tears (and a fair amount of dark chocolate M&Ms) went into writing this instructor’s guide, and I’m so excited to send it out into the world. With Grade 7 – Exploring Your World finished up and for sale, it seems like a good time for our 2014 Summer Sale! 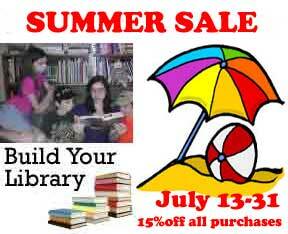 Starting today and through the end of July, you can take 15% off all our instructor guides and unit studies! Just use the code Summer14 at checkout. Easy peasy! Have a fantastic summer everyone! And don’t forget to spread the word!